I'm currently studying Pyschology and Addiction studies at University, I read an article which I found really interesting on Family Members and what they need to know about Alcohol addiction. I thought I would share this with you. Alcohol Addiction destroys the lives of people and their families every day. Addiction changes a person. It motivates the addict to speak and act in a manner not their own; to say hurtful and deceitful words that they do not mean and do not know how to take back. Addiction compels and manipulates mentalities into monstrous forms. Attitudes become brittle and emotions frayed. Situations can turn violent. People are hurt. It is impossible to understand the grip of alcohol addiction until one has experienced it. One can empathize or relate; become better educated on the topic; but until one lives through it, the picture can never be truly clear on "why." Families often ask why the addict is acting the way they are; why do they say those horrible things; why do they cheat, steal, and lie?.....The answer is simple. It is the alcohol that is making them do those things. 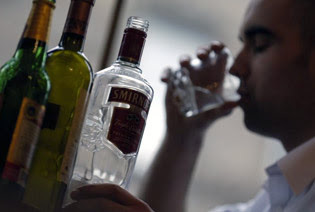 In some the addiction has become so strong that the user can not live without the alcohol, and would not if they had a choice. They have come to the point in their alcohol addiction when every time they drink something horrible happens. It is like flipping a switch. Like Dr.Jekyl and Mr. Hyde it literally transforms them into monsters. Witnessing this type of transformation can be very trying and confusing for a family member. There are important things to keep in mind when dealing with one who has succumbed to alcohol addiction. There is no blame. It does not help to point fingers in aimless directions when trying to solve the problem. It is not the fault of the addict or the loved one's. It is an accumulation of extremely bad choices and behaviors of usually everyone involved. It is also essential to not ignore the problem. There are those who consider alcohol, because of its legality and social acceptance, not to be what it is; a drug that is quite dangerous and should only be used in moderation. They are under the misconception that as long as the loved one is not participating in illegal activities then nothing is wrong. Obviously this is not the case when it comes to addiction. Everything becomes wrong. Alcohol should not be taken lightly. The situation should not be ignored. Sometimes it can be painful; shameful, to admit that there is, what some consider to be a weakness in the family. It should not be looked at as such. Alcohol addiction can affect anyone, anytime, and anyplace. Another misconception that family members might have is that the abuse is one of choice, and that the addict has simply decided to lose all sanity, morality, and compassion with regards to their loved ones. This is not true. In all addiction there comes a point when a line is crossed and the addict is no longer in control of their actions. The craving for alcohol becomes overwhelming and everything else is meaningless. An addiction of this caliber requires treatment, as it is unlikely that the addict will recover on his own. You can find more information at the drug rehab site.